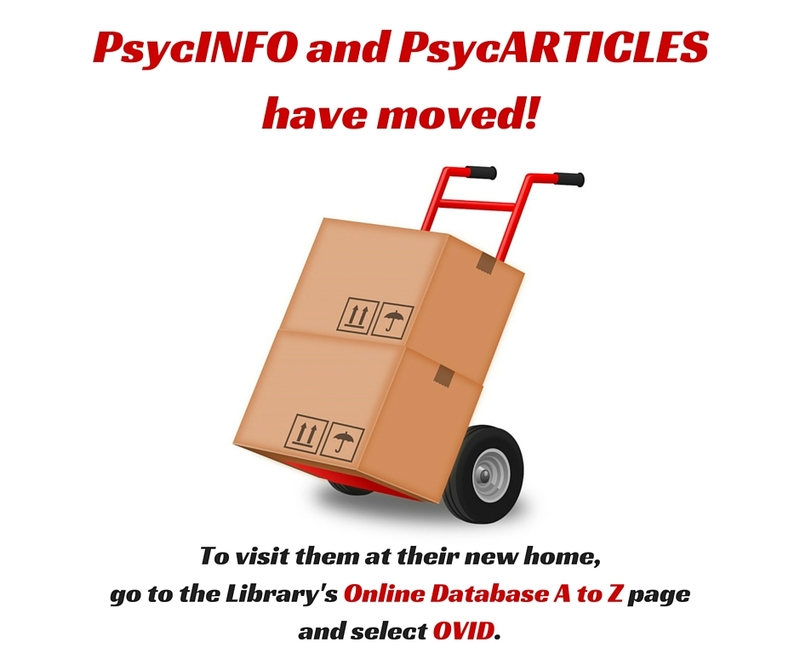 PsycARTICLES and PsycINFO have moved! These APA tools, along with PsycTESTS, are now available to current Lewis University users exclusively on the Ovid platform. To find them, visit the Library’s Online Database A to Z page.